Out of more than 5,000 submissions from twenty five countries, The Creative Bar was honored to accept two Summit Creative Awards® for its work with Intense Cycles and Temecula Valley Chamber of Commerce. 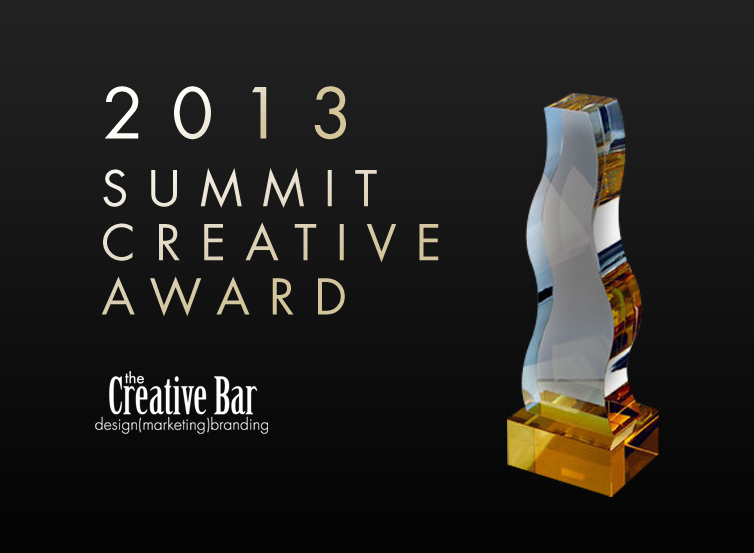 This brings The Creative Bar’s total number of awards for the year to thirteen, matching the amount won in 2012. Entries in 19 major categories are judged against a stringent set of standards. During its blind judging (entering company names withheld), the Board of Judges search for and identify innovative and creative concepts, strong executions and the ability to communicate and persuade. Winners were selected in a wide-range of categories from print and broadcast to, emerging and social media. This year’s SCA creative competition included companies from the following 25 countries: Australia, Bahrain, Bangladesh, Brazil, Canada, Denmark, Germany, Hong Kong, India, Kazakhstan, Korea, Malaysia, Martinique, French West Indies, Mexico, New Zealand, Portugal, Republic of Korea, Russia, Slovakia, Thailand, United Arab Emirates, United States, United Kingdom and Uruguay. The Creative Bar is a full-service design, marketing and branding firm specializing in company branding, marketing, print and web design, and public relations, located in Southern California. With a team on the forefront of cutting edge design & marketing, The Creative Bar clients are served with a robust blend of quality services and unmatched talent with proven results. Their drive for excellence has earned them industry awards from peers, and recommendations from clients, resulting in thirteen (13) National Design and Advertising awards won so far in 2013 and thirteen (13) in 2012. Some of The Creative Bar’s notable clients include: The Temecula Valley Chamber of Commerce, City of Temecula, Southwest County Boys and Girls Club, Intense Cycles, Promenade Temecula, Cal Baptist University, Cinema Audio Society, Hollywood Post Alliance and The Latino Coalition.